We get asked this question a lot: “why would I want to buy a remanufactured scope?” It’s a great question and fortunately, one that is easy to answer. But before we answer, let’s first give you some background on TSS Microscopy. We opened our doors in 2003, and our core business – which we built from the ground up – is remanufacturing and servicing today’s major brands of SEM, TEM, FIB and dual beam. As a result of our continued growth, we now offer consumables, accessories, parts on our eBay Store, and novel products that are TSS-owned, like an infra-red camera that can be used on a FIB to see through silicon. But our core business – where we make our most significant investment in both material and human resources – is the remanufacture of focused electron and ion beam microscopes. 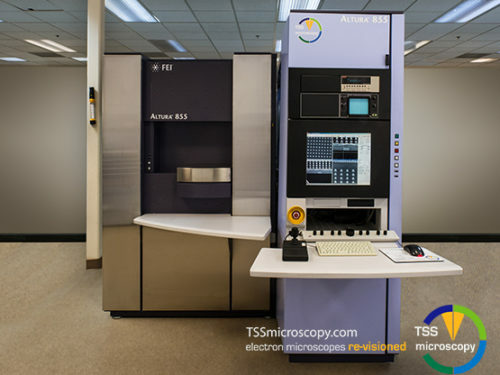 Since our founding, TSS Microscopy has added personnel and facilities in Europe, Asia and elsewhere in the world, so we can better serve the growing need for high quality, remanufactured electron microscopes. 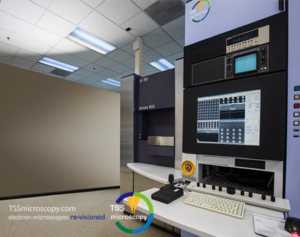 We think it is important for you to understand “who is TSS Microscopy” before we speak more specifically about the advantages of remanufactured microscopes. So, back to the question: why choose a remanufactured microscope for sale over a brand-new product? The answer is simple: it gives you an avenue for meeting your technical requirements while allowing your budget to go further. We ask our customers to consider whether a microscope that is a few years old and maybe doesn’t have every single “bell and whistle” found on new scopes, could still perform their technical task. As we all know, the overall technology in our area has changed a lot – but some of the critical functionality has not changed that much. Digital wrappers have been placed and improved, and facades have been made more modern, but sometimes the core of the “older” piece of equipment is very similar or identical to that of the “new” equipment, so selecting remanufactured may not mean a compromise. With a remanufactured scope, customers can potentially make their budget go further, allowing them to add capabilities that would have otherwise required additional funding. 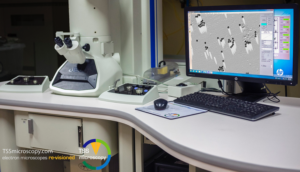 For many applications, a remanufactured, used electron microscope delivers the same results as a new microscope, but with much higher ROI. So, now that you are thinking of the reasons why a remanufactured microscope might be ideal for your requirements, let us pose a second question: why choose to work with TSS Microscopy? The answer is simple: because our full time, core business is remanufactured microscopes. We are not the sole proprietor who knows how to use a SEM and “refurbs” it in the garage, or the small shop that sells used equipment as a sideline. With a purchase this important – because you are staking your reputation on this decision – you want to be sure you are working with a company that not only will meticulously remanufacture the equipment, but also will continue to support you after the purchase. And TSS Microscopy is that company. Microscopes from TSS have been remanufactured to original OEM specifications, so they leave the TSS factory like-new. And to TSS, remanufacturing is more than just dusting off the equipment and making sure that it works. We completely dismantle the microscope, inspect every corner of it, make any needed repairs or refurbishments, then we reassemble and test, putting it through the same performance checklist that you would expect from the OEM. And then when we install the microscope at the customer site, we put it through rigorous customer acceptance tests. In addition to all of the support you get as we remanufacture and install your scope, we offer dual beam, fib, and electron microscope repair services to ensure you’re covered from start to finish. Another major benefit of purchasing a remanufactured microscope from TSS is our lead times. We can often provide tools in 60 days or less – sometimes a lot less – whereas the OEMs typically have lead times of six months or longer. When you need a scope, and you need it quickly, TSS can usually oblige. You can browse the TSS inventory online at any time, or make a request for a particular instrument and we can initiate a search on your behalf. So, consider the advantages that a remanufactured microscope can deliver to your lab. Then contact us to learn more about the microscopes in our inventory, request performance data or schedule a demonstration to sit at and operate the instruments in which you are interested. We look forward to working with you!